Energy-efficient outdoor lighting solutions are important in every municipality, for reasons of environmental protection, light aesthetics and safety at night. Furthermore, we need solutions we can truly rely on. Our model Abbey road-lighting luminaire brings a new quality of light to residential areas, industrial estates, local roads and cycle paths. This is the perfect combination - superior optics, a weatherproof housing and easy maintenance. 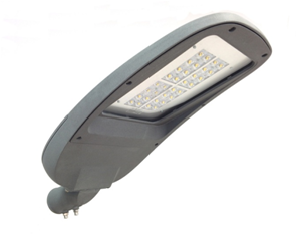 This lightening fixture is suitable even for extreme conditions of up to - 40 C.